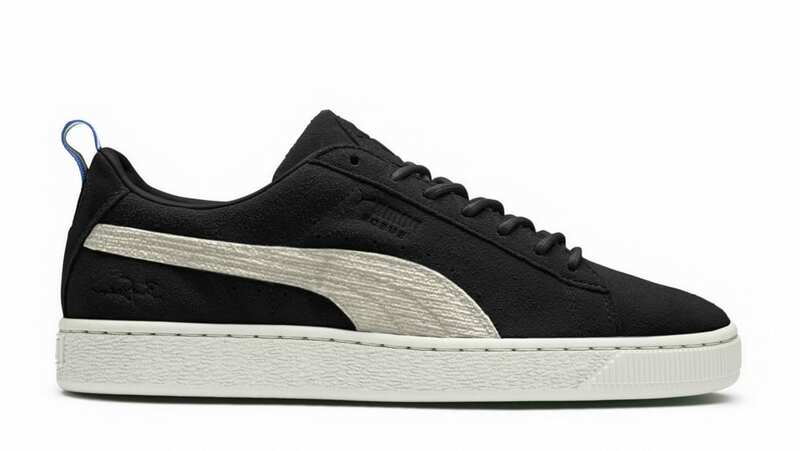 Big Sean's latest Puma Suede collab arrives in a black suede upper with a white midsole and translucent green outsole. Additional details include co-branding on tongue with the tri-colored tab on the heel. Release date is Sept. 15, 2018 at a retail price of $110.